2018 and you’re getting tired of reading articles about resolutions, new leaf turning and goal setting. Probably even goes against some of your creative, spontaneous makeup. I’m gonna suggest 2 different versions of these practices. A mission statement and attainable goal-setting. Big companies have them, small businesses have them. Here are a couple examples. All great but what I’m suggesting is coming up with your own personal one that relates to your songwriting. It should be simple, short and clarify your passion and philosophy. Not easy to write but the more you can define and distill just who you are as a writer the better choices you tend to make. Can’t be everything to everyone so..who are you? Having your own mission statement to reference along the way is a terrific tool for any artist or songwriter. You’re in the business of you and you need to know your business! I like to ask songwriters about their goals before I start coaching them. The main reason is a hard one to hear because they may be unrealistic. I don’t mean they will never reach them, only that they need to accomplish smaller goals to have the best shot. These are great goals but without smaller, more attainable ones the frustration may kill ya first! I urge writers to set goals that are attainable in the very near future, celebrate them and re-aim. We all need affirmation in this business and creating a few goals that you can make is one good way of measuring your progress. Set a goal of creating a simple webpage for your songs so people can find you. Decide to attend one major workshop this year and…gulp…network! Decide to seek out 5 classes this year, maybe not even all to do with songwriting but stretch your creative muscle. Ask yourself these from time to time, especially starting out this new year. An old Irish New Year’s wish. This is reprinted with permission from Songwriter Magazine UK. My article appeared in the Fall 2017 issue. When we all start out as songwriters we imitate to the best of our ability. You know the old adage “theres nothing new under the sun” well, in a way I buy it but…I also believe it’s what you do with those clone songs over time that makes all the difference . 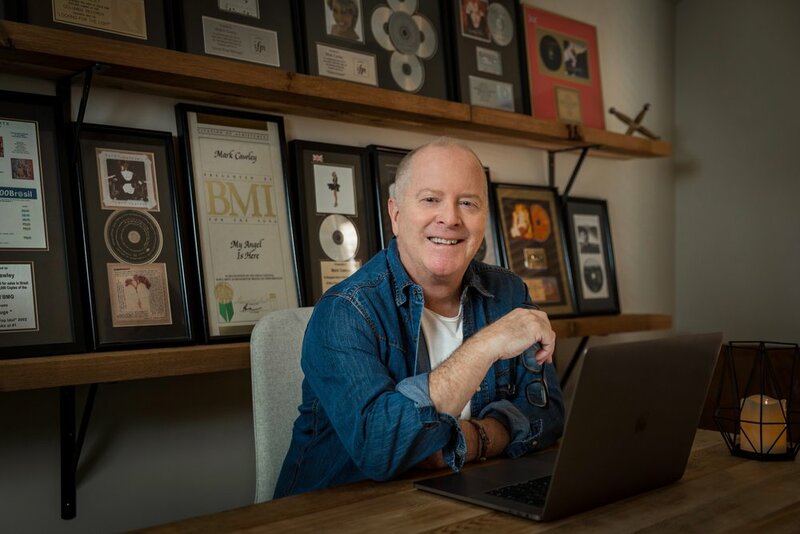 I coach writers from all over the world and one of the common traits I find in the beginning is they tend to write the next Ed Sheeran song, the logical followup to Beyonce's last single or a song that brings to mind Elton John or The Beatles. Again, we all do it, we are our influences and we should embrace and celebrate them…and then put ourselves into the creation. Years ago I remember a song of mine being critiqued by my then publisher who said “ this is great but we already have a Joe Cocker”. I admit it set me back a bit. My song was every bit as good as some of Joe’s classic’s in my mind but here’s the rub. He was right. Great artists aren't looking to repeat themselves. Sometime labels or managers are wishing they would and in fact, will even ask for that in song searches but in the end a great artist is constantly moving forward. a Clone just won’t cut it. I learned this the hard way for sure. Once I had a publishing deal I finally has access to someone who could actually get my song heard by the powers that be. I was ready. When I got the call to write something for someones next record I did my homework. Studied the kind of language they used in past hit’s, the tempo and production style, the key the artist favored and on and on. And I got soooo close time after time. The happy part of the story is these songs sometimes got cut by another artist . Not the name I was shooting for but the fact that the song was good was good enough to appeal to another artist, usually in the same vein as my target artist. The epiphany for me was one day , in Nashville getting together with my two favorite co-writers Kye Fleming and Brenda Russell to write for a few days. All of us had had some form of success but we also had war stories of getting songs on hold for some of our favorites only to have them fall through at the 11th hour. We sat down that first day and said “let’s just write for ourselves, forget what a publisher is asking for or what we think an artist will love, let’s just write something we love. So for those two days in Nashville we just wrote. We brought elements of each of us into the room without a thought other than to see if we could get each other excited. We did. To the point of hugs and tears and running ti the nearest studio two do our little demo. To spare you all the minor details it made it’s way to the very artist we had all been shooting for for a few years, Tina Turner. At the time a mega star. This song sounded nothing like anything we had ever heard her do much less like one of her recent hits. At the end of the day we saw her interviewed on Oprah talking about how she found the song to build her next album around and what it meant to her. The song was called “Dancing In My Dreams” and the album was called “Wildest Dreams, going on to sell over 6 million. The lesson? All those songs we learned to imitate and deconstruct years ago went into our DNA as writers and we trusted those influences to come out AND and it’s a big AND…we put ourselves into it and trusted that if it moved us the chances were better of it moving someone else. I know for me that was a huge moment and changed the way I wrote. Many of the cuts I got after that came about from the same philosophy , I had to love it first. A side note, same thing happened with Joe Cocker for me a few years later. he cut a song that I would never have written if I’d been trying to write for him. One of my favorite talks I’ve heard was one that John Mayer did at Berklee a few years back. he talked about the importance of studying the greats as well as the craft of songwriting but not stopping there. he called this part “Information”. He went on to say that “information without inspiration falls flat”. When it gets good is when you put yourself in it and in truth thats your best shot, to be a product of your information but to also be original, be you! How important is it for you as a songwriter to be able to speak a few different languages? I’m not talking about the need to speak French although it would have come in handy for me trying to ask directions in the Paris Metro a time or two. I’m talking about learning at least conversational “melody speak” if you’re a lyricist or enough color and detail terms to tell your co-writer what their story needs if you’re the one coming up with the killer chord changes. In the age we live in it’s easy to Google anything we’re interested in to be able to get a few of the basics. Helps to know a few terms before taking your car in for repair, a bit about the stock market if you hope to hang onto those future royalties or even to know what your colon does before you go in for that… oscopy thing. Knowledge is power, even a little bit can help you be heard and be in the conversation . For instance. If you’re a songwriter and you’re headed into the studio to work with a producer or engineer you stand a better chance of being happy with the outcome if you can talk at least a bit of tech talk. If you’re strictly a lyricist and you’re writing with a melody person it’s great if you can talk in their terms about what you like or don’t like. Maybe as simple as 7th chords, major vs minor changes, inversions, lifts. It may not be your thing but it’s theirs and helping them help you helps the song in the end. If you write on guitar and don’t have a talent for writing lyrics you can still help steer the direction by being able to use some terminology familiar to the lyricist in the room. Sometimes just being able to point out what’s not working for you, rhyme scheme, not enough detail, anything is better than saying “I don’t like it but I can’t begin to tell you why”! I’ve directed some of my songwriting clients to things like “piano for songwriters” or “guitar for songwriters” even vocal lessons for a lyric writer. The point is just to be able to contribute to the creation even if it’s not your main strength as a writer. I’ve worked with a lot of artists over the years and many times they would start by telling you they weren’t really songwriters but…they could tell you about the songs that move them and why. Maybe not in the most technical terms but by talking about another artist's song and why the chorus was so great, or the groove worked for them . The more they could explain, the bigger their role would be in creating the song. Last note on the subject. Years ago I was asked to be a part of the first Castle Songwriting retreat run by Miles Copeland in the south of France. I had the bright idea that I would at least learn a little French. On a break Miles drove me around after lunch pointing out the sights and we stopped at a small grocery. Here was my chance. I used what little bit of French I could summon to say something to the owner. No idea how I did because as soon as it was out of my mouth he answered me… in French. A bunch of French! A bunch of fast French. Not a word of which I understood. Miles witnessed this exchange and when I got back in the car he said “That’s the trouble with knowing just a bit of French, you use it and then they actually talk back”! Quelle direction dois-je prendre pour aller à…? Again, you don’t have to be fluent in these other songwriting languages, just be able to contribute. Or maybe just enough to keep from getting lost in the Metro.